When 17-year-old Rosie’s mother, Trudie, dies from Huntington’s Disease, her pain is intensified by the knowledge that she has a fifty percent chance of inheriting the crippling disease herself. Only when Rosie tells her mother’s best friend, “Aunt Sarah,” that she is going to test for the disease does Sarah, a midwife, reveal that Trudie wasn’t her real mother after all. Rosie was swapped at birth with a sickly baby who was destined to die. Devastated, Rosie decides to trace her real mother, joining her ex-boyfriend on his gap year travels, to find her birth mother in California. But all does not go as planned. As Rosie discovers yet more of her family’s deeply buried secrets and lies, she is left with an agonizing decision of her own, one which will be the most heart breaking and far-reaching of all. Now this is what I call a dysfunctional family! Secrets, romance, drama to the max – Someone Else’s Life is a story that will make your jaw drop, along with having your life feel especially normal. Mostly character oriented, this book is deeply emotional, with endless twists that turn it into a true roller coaster ride. I can see it come off as overly dramatic, but I personally really enjoyed getting surprised by the turn of events; never expecting things to get so tragic, so complicated. Rosie’s life goes into a complete free fall after she finds out she’s not really who she thought she was. As secrets starts to unravel, I found myself caring more and more about this girl, about everyone involved in the situation. Huntington’s disease is not widely known or acknowledged. I only gained what I know from the TV series House, where I learned there is no cure, and how terribly heartbreaking this disease becomes for everyone it touches. The worst part is deciding, do you get tested? Would you want to know if you’re going to be doomed to this illness? Although we don’t experience Huntington’s first hand in the book, it’s a big cloud that is constantly looming inside the pages. In spite of the story being quite complex, the book is easy to understand, and with its shocking plots twists, plowing through it is effortless. I’m a bit undecided on how I feel about the romance. I thought it was very sweet at times, but I would get fed up with the on-again off-again scenarios. Andy, her boyfriend, seemed to never make up his mind. When they were “on again”, though, it was very cute. I also enjoyed the journey itself- seeing New York especially, is always magical. Katie has this great ability to casually blend in all this magic, romance, and even humor in such a deep, emotionally charged book and have it all somehow work. Reminiscent of a Jodi Picoult book, Someone Else’s Life is a story that will easily have you engrossed in the overwhelming dramatics of Rosie’s life. With a great cast of characters, deeply rooted emotions, and life altering decisions – there is something for everyone in this novel. Q. What is a typical day in the life of Katie Dale? 6.30 am – My other half’s alarm clock goes off and he gets up with his daily moan “Why do you get to stay in bed?” I pull my pillow over my head and snooze happily – definitely one of the best things about being an author! 8.30 am – My alarm goes off and I get out of bed and shower. 9.00am – Breakfast whilst checking my emails and Google Alerts tell me if anyone’s reviewing my books. Hold my breath as I wait to see if it’s a good (fingers crossed!) or bad (eek!) 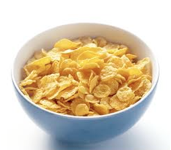 review…careful not to spill cornflakes or milk on laptop! 9.30am – Send out invitations to book launch party! Hope everyone can come! 10.00am – 11.30am – Write guest blogs for Someone Else’s Life blogtour! Great fun, and really varied – with some very interesting questions! 12pm – Receive proofs of latest Fairy Tale Twist illustrations to comment on – one of my favourite things to do! It’s always a thrill to see the fabulous Matt Buckingham’s pictures for the first time! 2.30pm – Receive a phone call from my publicist in New York – it’s only 9.30am there! 3pm – Arrive at local bookshop for “Storytime”! I love sitting on the patchwork throne and reading to the kids (and love dressing-up too!) – even if it is a bit too freezing outside! 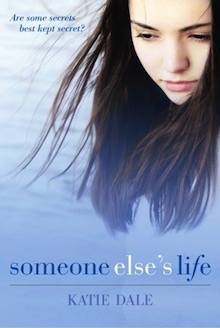 4pm – DHL delivery – a box US copies of SOMEONE ELSE’S LIFE from America! Very cool to see their hardback version of the book with its different cover! Blog, tweet and Facebook pictures in excitement. 9.30pm – Back to writing! 11.30pm – Time for bed and a chapter of a good book – tonight Undiscovered Voices 2012! The best thing about being an author is that it isn’t 9-5 – if I’ve had a late night working, I have the flexibility to start a bit later in the morning – plus I can work from my sofa in my pyjamas! My favourite part about writing is losing myself in other worlds and other characters – it’s like you can try on someone else’s life for a while, which is kind of magical. Q. Huntington’s is a very frightening subject; what was the biggest challenge in presenting such a devastating disease? The biggest challenge and most important aspect of writing about Huntington’s disease for me was to be as authentic and accurate as possible, as it was a disease I had never previously heard of. I consequently spent a long time researching the disease and talking to and meeting with people who have or are affected by Huntington’s – some of the most inspiring and courageous people I’ve ever met. Q. Someone Else’s Life revolves a lot around the characters themselves, did you have a hard time writing these personalities, or did they just pour out? They really just poured out! Sometimes characters really write the book all by themselves and for much of Someone Else’s Life, this is exactly what happened. I had to work to make sure Holly and Rosie sounded different enough – and to make sure I had all the correct US terminology! – but really they sprang to life on the page, which was great for me! Q. Is there anything about you that would surprise your readers? I am a terrible cook! There’s a scene in Someone Else’s Life where Trudie tries to cook potatoes in a pressure cooker and it explodes, splattering mashed potato all over the ceiling and walls – this happened to me! Unfortunately I was in a friend’s kitchen at the time – oops! Thanks so much for dropping by Katie this was a great interview, and don’t feel bad, I burnt boiled eggs once. It reeked for DAYS! KATIE DALE studied English literature at Sheffield University, spending a year at the Univeristy of North Carolina at Chapel Hill, followed by a year at drama school, a national Shakespeare tour, and eight months backpacking through Southeast Asia. Her newest novel is Someone Else’s Life. Great interview! I have this one, and T’m hoping to read it soon. This sounds like a very heart felt, poignant novel. Best of luck to Katie with it! Lovely interview. I always love learning more about the authors. It’s on my list so can’t wait to get my hands on it. Oh this sounds actually great and I really like the cover.!! This truly sounds like a deep and intense read. Nice chat with Katie 🙂 and I love cooking so I could cook for you instead! YAY for not having to go through the traditional work hours and being able to work in your PJs — I have to say that being a writer sounds better every day LOL! 😉 And oh my gosh, I LOVE how you described your typical day with a play by play! I’d snooze happily like you too if everyone else had to wake up early! haha cute interview!! It was really fun! I love Katie Dale and i really enjoyed her book “Someone Else’s Life”!! Hehe thanks for the awesome interview Giselle! Great work!! This book was like one whole big jerry springer episode! I did I love reading it, It kept me on my toes! Great review and guest post! Just put this book on my to read list. I love books that take you on an emotional roller coaster! Loved your review and thought the interview was great! Sometimes “overly” dramatic is just what you need! Sounds like a good story. And I really want her daily schedule! Hectic but it sounds like fun. I loved this book! the emotionally stand point to it was amazing! Great interview. I love the photo of her reading a story. I’ve heard a little about Huntington’s and it does sound like a devastating disease. I like that a book is taking it on. Great review, Giselle! I’ve been curious about this one, but for some reason never read much about it. You’ve definitely made me curious though and I think I’ll have to add it to my to-read pile! LOL omg, I love the story about the pressure cooker exploding being real… That would so be something happening to me! x) Great interview! Ive cared for people with Huntingtons. Such a devastating disease! This book sounds like a heavy read but sounds really good! Wow, this book sounds totally crazy–but in a good way. Loved the interview too! Great review Giselle! I heard about this book a while ago and it sounded really interesting. The characters sound great and I really enjoy a book with many twists. I’ve studied Huntington’s disease before so I’m interested in the subject and how this book handles it. It sounds like it does a good job with the topic though. I am definitely going to have to read this one now. Also great interview! Love the story about the cooking since I am a terrible cook as well. Bought this in (of all places) Asda a few weeks ago, only two more books and then this will be at the top of the to read pile! I’m liking the US cover, but have to honestly say I love the UK one more, it’s so pretty!